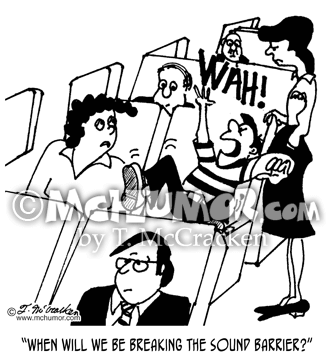 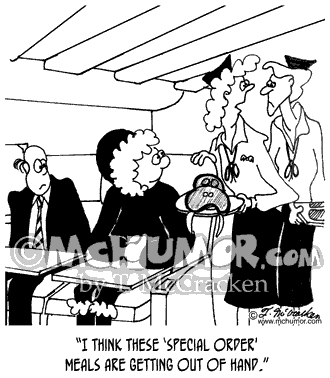 Flying cartoon 3161: A woman on a plane sitting next to a screaming kid asking a stewardess, "When will we be breaking the sound barrier?" 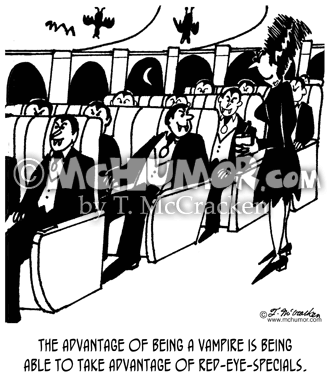 Vampire Cartoon 3073: The advantage of being a vampire is being able to take advantage of red-eye-specials.” All the passengers on a plane are vampires. 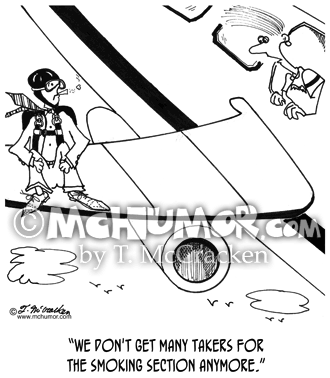 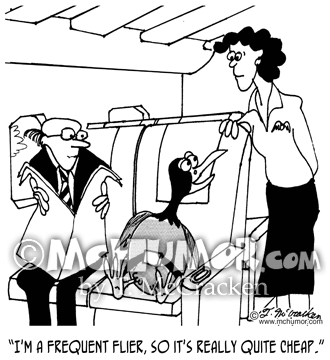 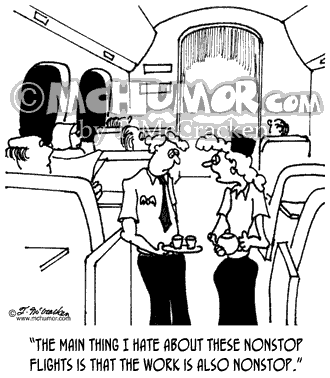 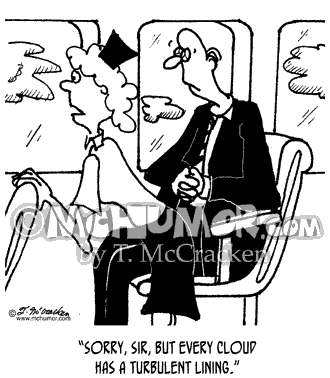 Frequent Flyer Cartoon 3074: A bird on a plane saying to an attendant, "I'm a frequent flier, so it's really quite cheap." 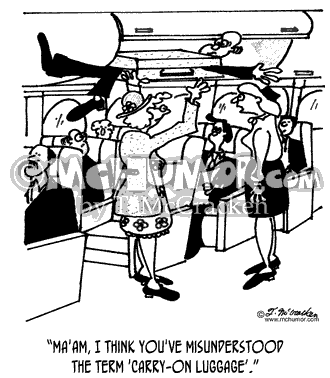 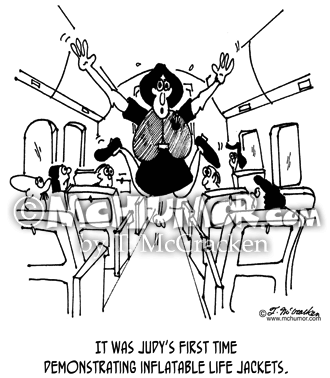 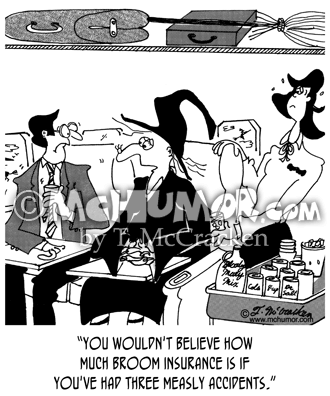 Insurance Cartoon 5221: A witch on plane saying to an attendant, "You wouldn't believe how much broom insurance is if you've had three measly accidents."